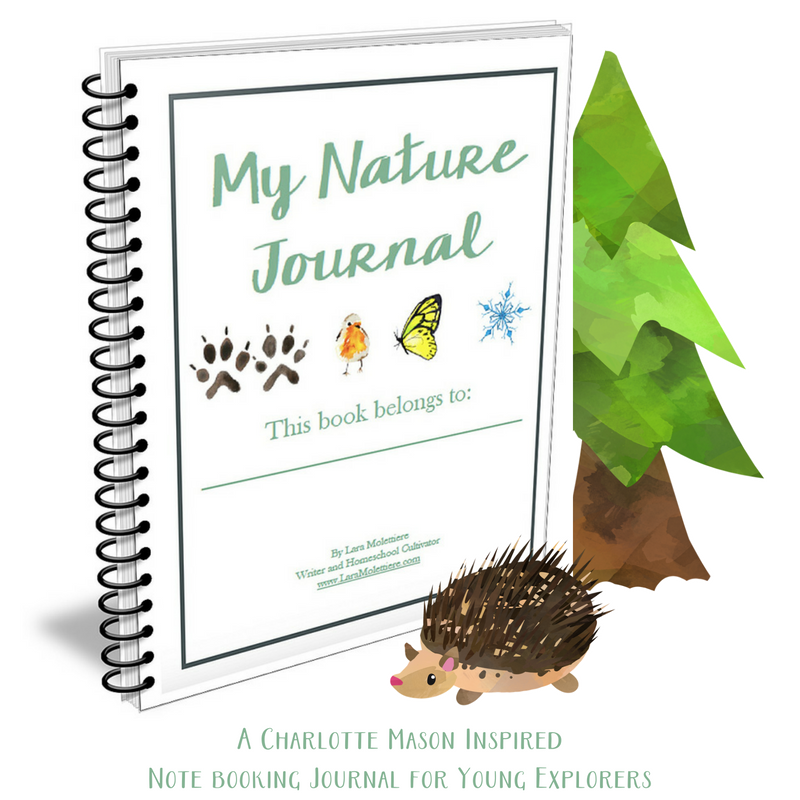 If you are new to homeschooling and doing a nature study, you are probably wondering what on earth is a nature shelf?! A nature shelf is just as it sounds. It is a place to store your nature finds. 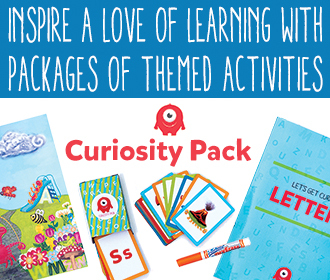 The ideal week involves a lot of natural history lessons and a lot of outdoor time. What kind of things do we put on our nature shelf you ask? We started school last week, the 2nd week of August. You can read all about my school prep here. Our first week of school we took it really slow. We only did three to four subjects a day, and trying to figure out what the one who isn’t doing lessons should do was pretty tough! On Tuesday I read about plants to my youngest from Plant Life in Field and Garden by Arabella Buckley (affiliate link). We read about the parts of a plant, and it was a brief plant lesson. The next day I found that my youngest had a hard time keeping himself occupied during my other son’s math lesson. The next day I decided to bring something inside for him to explore. He is an explorer and will sit and observe things for a little while at a time…. apparently unless you bring it inside! I looked back today and realized I hadn’t written a blog in a long time! Too long of a time. I apologize for that. Summer has been busy! We have been busy doing summer things, my work from home job picked up and I was getting double my normal hours, and my husband is in the middle of a job change. I haven’t had much time to do the things I want to, like blog! But I have been preparing for the new school year. Last year I got my consultation through A Delectable Education, and since I did it in the middle of the school year, I opted for them to give me a plan for the second half of last year and all of this year. This is the first time I really, fully prepared for the new school year. Don’t get me wrong, I have tried. I have tried to plan. I have tried to have everything ready. I have tried. Before this year I never had a full plan to work with. The first year I had no idea what I was doing and just scrambled around gathering random workbooks and things that I thought would teach what was needed. Nothing went together, our days were a mess, and it was pretty tough to stay organized. The next year I at least had a somewhat plan. I was using Ambleside Online. You can read how I started with Charlotte Mason here. As great as the free resources are, it was hard to navigate and decide which books to pursue, and which ones not to. Last year I started out piecing things together a little better, but then after a frustrating first half of the year, I decided to bite the bullet and get a consultation. A Boy and His Butterfly Book Just Released! UPDATE: If you purchased the book prior to May 23rd, 2018, there was a mistake that I have fixed. It stated that Monarch Butterflies can overwinter in their chrysalides. They cannot do this because they are very temperature sensitive. I apologize for this error. Please contact me with proof of purchase for a new book. I have been working on a book for a couple of months now and it is finally available for order on (Affiliate Link) Amazon! This was definitely an adventure for me, and as I tend to jump into things unexpectedly, there was definitely a learning curve! I have always wanted to write a book, but my mind always went towards a novel. I would never have time to write a novel though, so I never pursued it! A lot of people keep asking me why I all of as sudden decided to write this book, and how I got from there to here. Here is why I wrote this butterfly book, and plan on writing many more! My boys love for me to tell them stories at bedtime that are made up on the fly. We always start out the story by saying “Once upon a time there was a little boy named _______, he lived at _________, and his phone number was __________. And he loved _________.” Originally the plan was just to teach them their full names, address, and phone number because they aren’t in school every day where they need to know it more. It has evolved into something that is a special treat that they love! This is where my book idea started. If you are like us, we have required testing every year for our homeschool. Every year I am a mess when testing time comes. There are so many questions on whether or not I am doing what I should be doing. Is he learning what he should be learning? Is he going to pass? Is he going to fail? What happens if he fails? How do I shrug it off, for his sake, if he does bad? All of these questions and more run through my mind every year for testing time. Since we started following Charlotte Mason, I have been even more nervous about his testing. Have no fear, because it is all working out. I have been really nervous this year because it is the first time we have really dropped every other type of schooling and focused on Charlotte Mason. 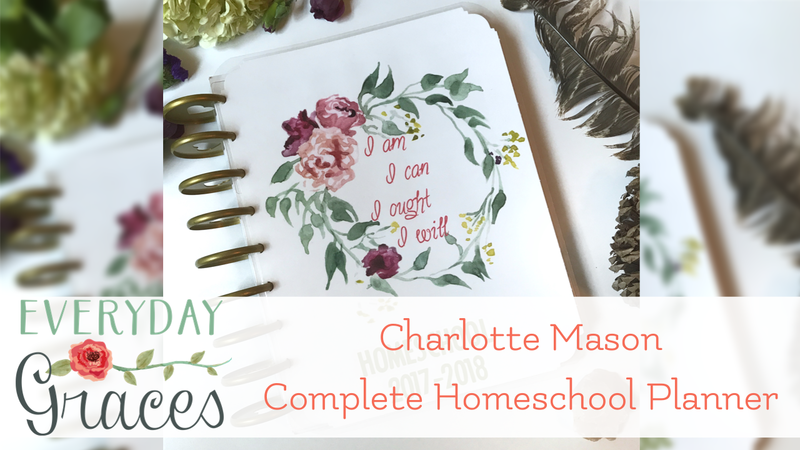 I am by no means a Charlotte Mason expert, and I am still reading her (affiliate link) Home Education books, but we do our best. If you are familiar with Charlotte Mason at all, the methods are different and not at all geared towards meeting yearly requirements. We don’t have a grammar curriculum. We don’t do “spelling.” We even took a huge step backwards this year in math to fill in any gaps we had from our previous math curriculum. Needless to say, I have been very nervous for testing time. So much so that I decided we were just going to do it and get it over with early! This page may contain links to products or services that I use and receive a commission from these links. Join the National Home School Association today to help protect the right to home school for everyone. Join Us Today!